Most ERP experts reiterate that for an ERP implementation to be successful, it is imperative for the end-users to become accepting and proficient with the system. Basically the huge investment will garner results only if it is used to its potential on a day to day basis. Many companies have tried different training programs and strategies to ensure that their end-users effectively use the ERP in hand and garner maximum return on investment. Despite all this we still get to hear customers complaining about how end-users are still averse to using the ERP causing it to decay. The fundamental question really then is, whether it is just the training that is to be blamed or are there any other different underlying aspects to it. While there could be multiple reasons for the reservation of end-users to use an ERP, one major factor that is often cited is the complex and intimidating user-interface. It is said that the first experience is the most important experience and leaves a lasting impression and a user's first experience with any application is its user-interface. A well designed user-interface can break barriers of anxiety, fear and resistance to change in a user and extend a comforting encouraging hand to explore. Recent years have seen a major shift in terms of how user-interfaces have evolved and preferences of the end-user. Gone are the days where an end-user was so humbled with the capabilities of a software application that he was ready to somehow adapt to the system, in this era it is the "system that must adapt and cater to the user's needs". In this scenario ERP applications also need user interfaces that are intelligent enough to understand the user’s requirement, navigation pattern and needs. Application end-users should have successful experiences with the UI that gives them confidence and establishes self-assurance about how they work with the application. Every time this confidence builds, the end-users feel encouraged and motivated to explore more features of the application. As the end-users start getting comfortable they try to expand their knowledge of the interface and somewhere start learning the application on their own. This gives rise to a constructive self-learning cycle. Self education is really the best education and teaches much more to a user than any training program can. Well-designed software interfaces can create such an environment and guide users to learn and enjoy what they are doing. As users learn to relax and enjoy exploring the interface they should be allowed to navigate easily through the interface and get to any part of the product they want to. The user at no point of time should feel lost within the application, it is important to let the user believe that he is the one in control. As much as the above points are important it is also essential to remember that an ERP is accessed by different executives for different purposes. Simplified design should not be at the cost of diluted tasks or at the cost of expert users. Enough provision should be made to treat experienced users differently offering them fast paths and shortcuts to meet their objectives. One more essential element of a user interface is to be of "forgiving" nature. The simple principle is "Don't hold the user responsible for a mistake or action". The interface should give enough opportunity to the user to correct his action. Undo, redo, repeat actions help a user experiment a bit and does not agitate him with mistakes. As a user starts getting comfortable with an interface the one thing he would really need is "consistency" of behaviour, consistency of icons, messages, notifications across the ERP system. Consistency breeds comfort and comfort breeds affinity and affinity finally converts into loyalty to the system. As we move towards the new era of Enterprise Mobility a key aspect that needs to be taken into account is device friendly user-interfaces. Today's user is working in BYOD environments and may want to view an application on any of his choice of device, the user interface should offer the end user the same comfort on any other devices as he is used to operating. 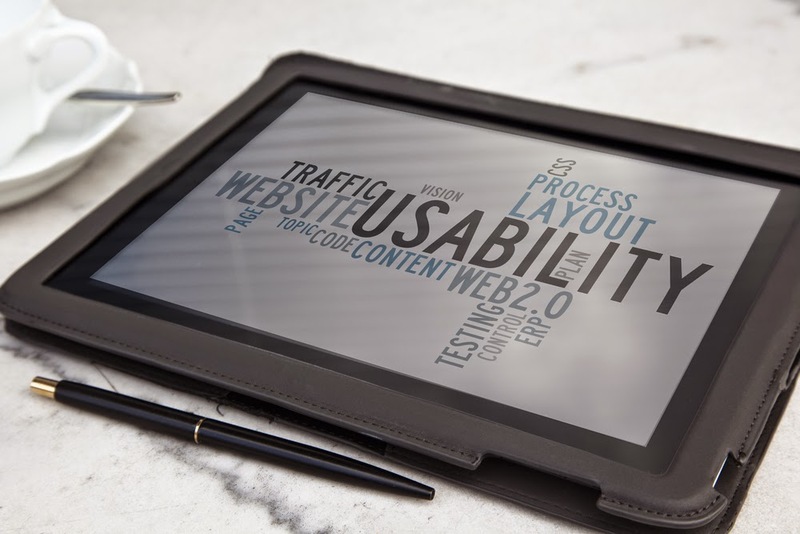 At CloudIO we believe that a good user interface can go a long way in helping end users adopt the ERP applications. If built effectively they can also help in bringing down the end user training cost and help organizations garner a greater ROI on their investment. Having witnessed the tussle that our customers face with the ERP user-interface, we at CloudIOPlatform have gone the extra mile to build simple, effective and intuitive self learning user-interface based applications on top of ERP systems. We have applied the STEAM (Science, Technology, Engineering, Arts and Maths) principles to come up with contemporary user-interface design that can be adopted on any smart device. Moreover our designs are light, robust and sensitive towards data security too. We have received appreciation from our clients for the delightful user experience our user interfaces extend. Business Dashboards & Reporting - Data Dumps or Actionable Insights?